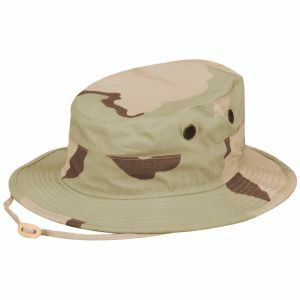 Introduced to the U.S. Army during the Vietnam War, boonie is a type of a wide brim military hat frequently used by the armed forces worldwide and one of the most known and popular pieces of military style clothing. 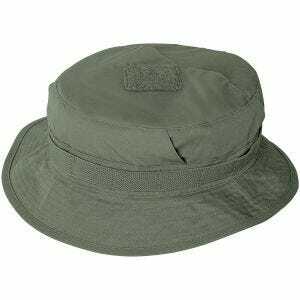 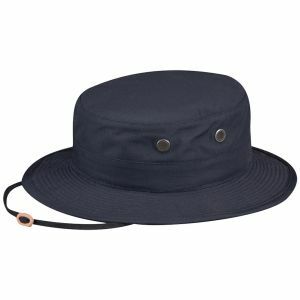 Over the years its design has changed insignificantly and although boonie is similar to a bucket hat its brim is, however, stiffer providing better protection from elements such as sun, wind or rain. 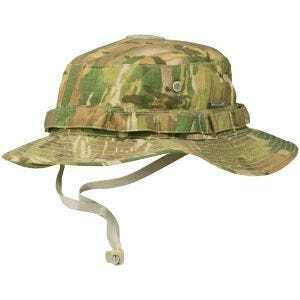 Also known as a jungle or bush hat, the classic boonie hat features a number of characteristics that decided about its recognition. 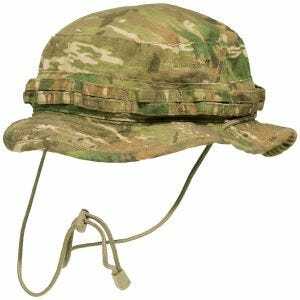 Amongst them is a fabric tape band of 'branch loops' sewn around the crown of the hat which originally was meant to hold additional vegetation as camouflage. 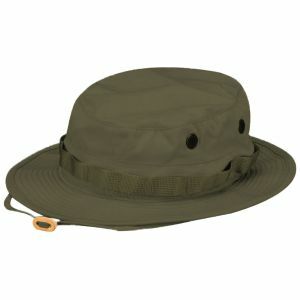 Moreover, adjustable neck strap provided gives stability, and the crown itself is vented with rivets or mesh panels. 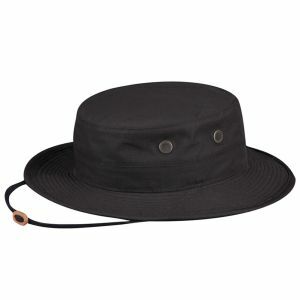 Some design variations also include snaps to attach neck protectors or to fix the brim in the style of an Australian giggle or digger hat. 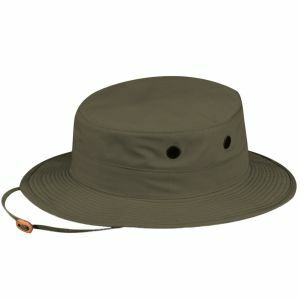 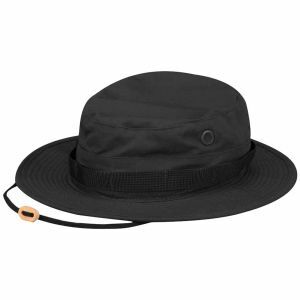 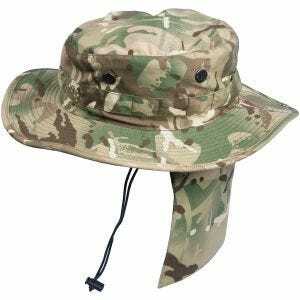 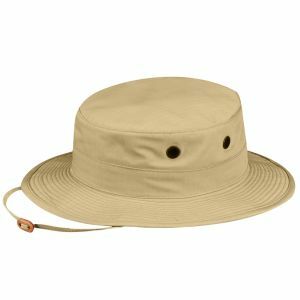 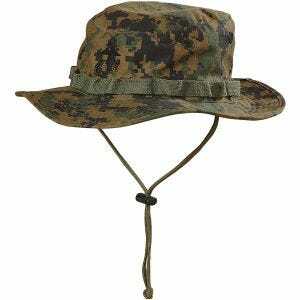 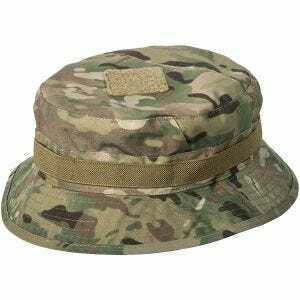 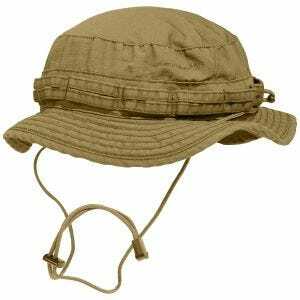 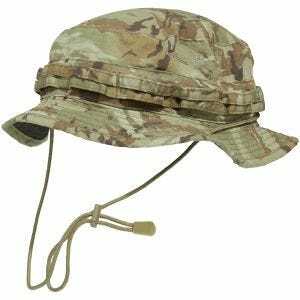 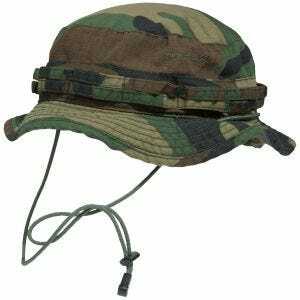 Durable and functional, wide-brimmed boonie appeals especially to all people who simply enjoy outdoor activities such as hiking, fishing, etc., but also to Airsoft, hunting and paintball enthusiasts. 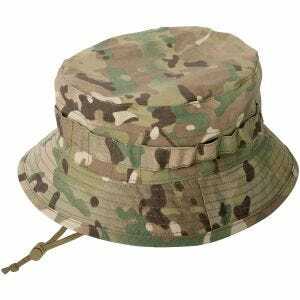 Available at Military 1st online store is a comprehensive range of quality boonie hats, in a variety of colors and camouflage patterns, including genuine MultiCam, A-TACS and DPM camo, from a number of renowned brands just to mention Helikon, Pentagon and Propper.